Below is an article originally written by Matt Haughey at PowerToFly Partner Slack, and published on November 15, 2018. Go to Slack's page on PowerToFly to see their open positions and learn more. 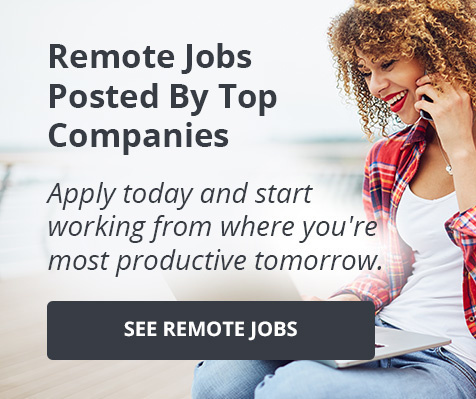 Remote work is increasingly going from a luxury to a workplace norm: 43% of employed Americans said they spent at least some time working remotely in 2016, while 70% of the global workforce is now doing so once a week. Then there are distributed teams. As growing firms open new offices, you might be working with people in Lagos, New York City, or Shanghai, as well as across town. Today, many of these far-flung colleagues are working together in Slack. With a few extra considerations, however, remote teammates can not only collaborate, but shorten the distance between them too. After talking to dozens of people in different industries about how they use Slack across distances, the topic of trust came up early and often in our conversations. Working with remote or distributed colleagues requires trust and creative thinking from all parties. In the previous century, managers could track how many hours their employees sat at an office desk near them. Today, those metrics could be replaced by lines of code written, number of help tickets resolved, or number of pieces produced, but it's important to figure out ways to accurately and fairly measure the effectiveness of employees, regardless of their location. For this reason, visibility is a key aspect Slack can provide to distributed teams. A well-organized, transparent Slack team with channels arranged by topic and projects makes it easier to see everyone's output, even those far from headquarters. When remote workers post as often to Slack as their onsite counterparts, chances are they're being just as productive. Programming tools like Github and Jira let engineering managers see the output of all their developers, wherever they may be. File and document apps like Google Drive and Dropbox let marketing teams keep tabs on everyone's work. For those in customer support, tools like Zendesk and Intercom can report into relevant Slack channels, letting managers see how well their help center team is faring around the globe. Meanwhile, things like daily stand-up meetings can give every member of a team visibility and take place entirely in Slack. Every remote and distributed worker we interviewed relies heavily on video conferencing to maintain face-to-face connections with their team. Slack comes with its own built-in audio and video features. If your team prefers other tools, there are apps available from popular services like Zoom, Google Hangouts, and BlueJeans that also make it easy to start a video conference from Slack whenever you need one. Screen-sharing is another aspect of Slack's own video conferencing feature worth noting. You can share your screen with others on a video call and allow them to either draw on your screen or enable a cooperative mode in which other people on a call can move their mouse around and interact with your shared screen. This feature is key for things like pair programming, when two people in different locations collaborate inside a single screen, writing software code together interactively. User profiles can help employees get to know one another, and once customized for your team, you can share location, languages spoken, current time zone, and direct reports below and managers above, as well as topics of expertise and other relevant personal details. All this information is handy when you're doing cross-functional work with people you don't interact with daily, but it's especially the case for those working from afar. It helps them figure out the best time to schedule meetings and with whom, and even learn how to pronounce names correctly before the next company-wide event. For distributed teams, time zones can be both an advantage and a challenge. In Slack, you may want to denote which channels are shared across distributed teams and set expectations that conversations are asynchronous—answers to questions may take longer to appear as offices come online at different times of day. Stating it clearly in the channel topic and purpose fields is a great way to communicate channel rules to your team. Some teams find that having offices post end-of-day summaries helps distributed teams catch up on activity as they get started each morning. Teams may also want to set expectations around offline discussions that others might have missed—say, a discussion summarized and posted in a team channel after a few members had an epiphany over lunch, or ideas arising from hallway conversations posted into relevant channels. Both are great ways to create a culture of transparency and sharing that's more inclusive for everyone on the team. Set expectations around offline discussions that others might have missed. It's important that we not forget the power of a direct message over long distances. For each time you might think, I should pop by my coworker's desk and ask him about this when you're the same office, you can easily send a DM with your question instead if he happens to be far away. For managers and their direct reports, a DM also provides a quick method of private communication without the formality or structure of email. Optimizing Slack for workers near and far certainly helps those who work in different locations, but it can benefit everyone. Using Slack in this way means that parents with a sick child can work from home smoothly. If a manager needs time to recuperate after a broken ankle, she can stay home but continue to easily keep tabs on her team. If someone in your workforce has a disability that prevents him from being in an office space, Slack can offer a way to keep him productive and connected to everyone. A culture of openness, transparency, and public discussions taking place in Slack is going to result in a good team culture at any company, but it's also a key to remote and distributed workers feeling like equal members of your team. We are grateful to Robin Thede, Kenyatta Leal, and John Legend for being our partners and launching Next Chapter with us last week. Below is an article originally written by Evie Nagy at PowerToFly Partner Slack, and published on August 29, 2018. Go to Slack's page on PowerToFly to see their open positions and learn more. "By a show of hands, how many of you in here have made a bad choice," said Kenyatta Leal to a packed all-hands meeting at Slack HQ. The question, echoing the core of Bryan Stevenson's moving biography Just Mercy, was met by a sea of hands raised high. "Now, I want you to imagine just for a second what life would be like if you were judged the rest of your life for that bad decision." Leal speaks from experience. As a founding member of The Last Mile and a returned citizen himself, he was in the first class of a program that has, in the nine years since its inception, seen 393 students graduate. Education: The full-time program trains incarcerated students on marketable computer coding skills. Experience: Through TLM Works, an in-prison workforce development program, graduates of the coding program gain work experience, earn market wage and create a portfolio of work. Expansion: The coding program is designed to be easily replicated across the country. And then comes the moment of return, and of taking those skills into the workplace. And for that, there's a need for a fourth pillar — that of partnership with companies who can help turn those skills into a career. "We need to tackle this issue from all different directions," says Leal. "For folks returning back to the community, the stigma that they're impacted by is a huge challenge. We've come up with thousands of ways to make sure a plastic bottle or aluminum can gets a new life, but we don't do anything to make sure someone who gets out of prison does. We need to have that same kind of mindset when it comes to human beings, that same kind of passion and persistence." Enter Next Chapter: an initiative that we at Slack, in partnership with The Last Mile, the Kellogg Foundation, and FREEAMERICA, have been working on for the past two years to help bring returning citizens back to work and shift perceptions around formerly incarcerated individuals. Through Next Chapter, we are building a year-long apprenticeship program to train and mentor three graduates from The Last Mile — and in doing so, we hope to create a blueprint that other companies will use to train and hire talented people who have been incarcerated. At a special employee all-hands meeting last week, Leal discussed the hopes for this new program with Grammy-winning singer, songwriter, producer, activist and founder of FREEAMERICA John Legend, comedic actress, writer, sketch and improvisational comedian Robin Thede, and our CEO Stewart Butterfield. This conversation — and the unveiling of Next Chapter itself — was the culmination of an ongoing dialogue at Slack about criminal justice reform, in particular the opportunity to help returning citizens find jobs in tech and business. There is a pressing need for skilled knowledge workers, one that will only increase moving forward. Coding is something that any smart, hardworking person can learn, given time — and if there was one thing The Last Mile students had a lot of, it was time. We believe that talent is equally distributed. With the right training, we hope to provide opportunities for those who would not only thrive at Slack, but also fill the massive shortage of engineering talent that the tech community needs from an often-overlooked population. Along with The Last Mile and leading experts in the field, we've set out to devise an effort to help these returning citizens find skilled long-term employment and shift perceptions around re-entering individuals. "This program couldn't just be about providing training, or even job opportunities to our apprentices," says Rodney Urquhart, a member of the Developer Relations team who has been instrumental in getting the program established at Slack. "We've worked hard to build a safe and special culture at Slack, where people who come from different backgrounds can thrive just as well as those who followed traditional paths." None of this could have been done without our partners in Next Chapter. Make no mistake about it, we're not positioning ourselves as experts in criminal justice — we make enterprise software. We are in the business of thinking about the way people work, where and how they work, and, of course, the people that do that work. We know how much we have to learn — and we're humbled and grateful to be working with three organizations full of experts. The W.K. Kellogg Foundation, with years of experience in the criminal justice system, racial equity issues, and vulnerable communities, have helped to make this program a reality. FREEAMERICA, founded by John Legend, has been working to change the national conversation about and transform America's criminal justice system, and will help amplify our efforts and encourage other companies to consider similar programs. And, of course, The Last Mile, who bring not only the talent and skill of their graduating students — our apprentices — but also the expertise of Kenyatta Leal, whom we will be hosting as our first Re-Entry Director, overseeing the apprenticeship program here at Slack HQ. Deepti Rohatgi is Slack's Director of Slack for Good and Public Affairs. 2 "Shadow Report to the United Nations on Racial Disparities in the United States Criminal Justice System," The Sentencing Project, August 14, 2013. 3 "Recidivism," National Institute of Justice, June 17, 2014.